Facebook pays millions of dollars every year to researchers and bug hunters to stamp out security holes in its products and infrastructure, but following Cambridge Analytica scandal, the company today launched a bounty program to reward users for reporting "data abuse" on its platform. The move comes as Facebook CEO Mark Zuckerberg prepares to testify before Congress this week amid scrutiny over the data sharing controversy surrounding Cambridge Analytica, a political consultancy firm that obtained and misused data on potentially 87 million of its users. Through its new "Data Abuse Bounty" program, Facebook would ask users to help the social media giant find app developers misusing data, Facebook announced Tuesday. 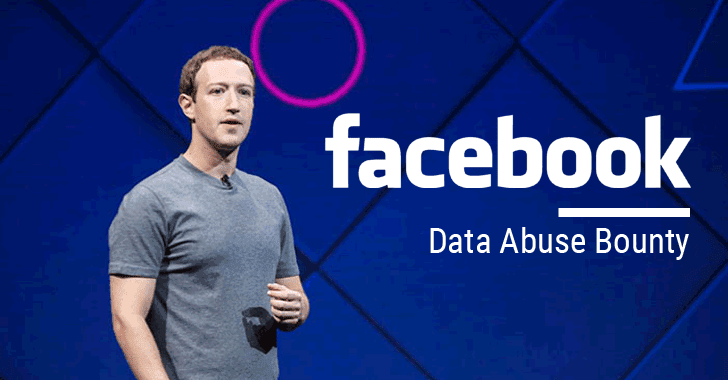 Similar to its existing bug bounty program, the Data Abuse Bounty program will reward a sum of money to anyone who reports valid events of data collection that violate Facebook's revamped data policies. "This program is complementary to our existing bug bounty program in that it 'follows the data' even if the root cause isn't a security flaw in Facebook's code," the company explains. "Bad actors can maliciously collect and abuse Facebook user data even when no security vulnerabilities exist. This program is intended to protect against that abuse." The impact of each report will determine the sum of money Facebook would pay. The "high-impact bug reports" could help users win up to $40,000, though the company notes that there's no maximum payout, and you can even receive more than $40,000 for big discoveries. So, if you come across any app violating Facebook's terms of service by collecting and sharing users' data with third-party, whether for money, scams or political influence, you can simply report Facebook through the "Data Abuse Bounty" program with evidence. If your tip about the app developer helps the social media giant caught the rogue app, Facebook will "shut down the offending app and take legal action against the company selling or buying the data, if necessary." The Data Abuse Bounty Program is the first of its kind in the industry, wherein the focus is on the misuse of its users' data by app developers. To be eligible for the program, your report must involve at least 10,000 Facebook users, explain not only how data was collected, but also how it was abused, and the social media must not have been aware of that specific issue before. For more details, you can check out the Data Abuse Bounty program on Facebook. If you are unaware, you can easily download and see all the information Facebook has collected from you in just a few minutes. 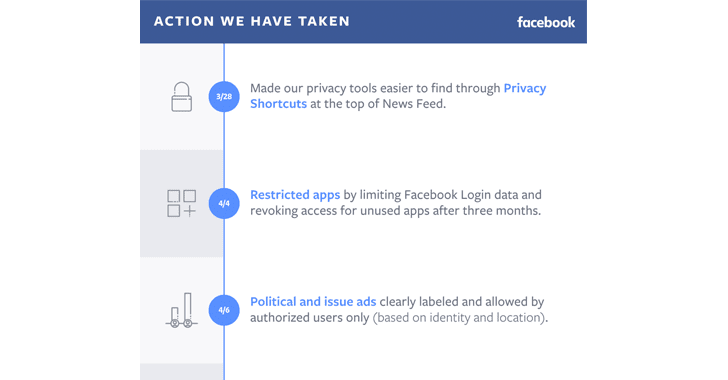 Here's how you can download and find out what data Facebook has collected over time, including all your past posts, messages, photos, videos and more.